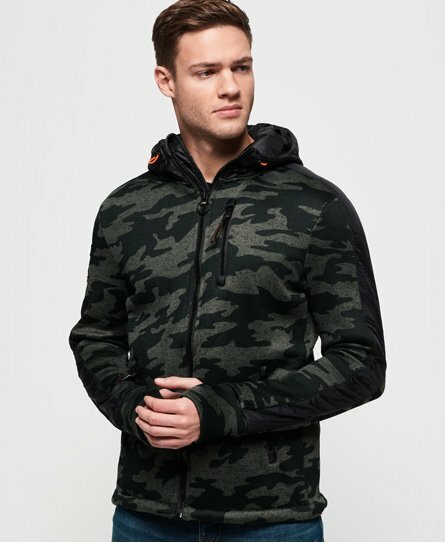 Superdry men's Storm international zip hoodie. This zip hoodie features three front zips pockets, thumb holes in the sleeves and a front zip fastening. The hoodie also features paneling down the sleeves and adjustable bungee cord hood and on the hem. Finished with a Superdry logo on one of the sleeves and back shoulder and Superdry graphic on the hood.